The Jewish and Muslim communities of Kelowna and its surrounding areas have started celebrating their similarities with neighbourly get-togethers. Coming from a mixed religious background, Okanagan Jewish Community member Philippe Richer-Lafleche knows well how upsetting it can be to be labeled or misunderstood. Yet, he has consciously chosen to look beyond his negative experiences. Last summer, OJC president Steven Finkleman asked Richer-Lafleche if he would consider being part of the board and Richer-Lafleche agreed. 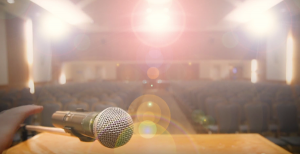 A few months later, Finkleman and Richer-Lafleche began talking about connecting with the growing Muslim community in hopes it would provide a blueprint for connecting with the other local communities, including First Nation, Sikh, Christian, Hindu, Buddhist and others. The Muslim community appointed Rehan Sadiq as their lead in the initiative, and Richer-Lafleche and Sadiq began meeting at the local Tim Hortons almost every weekend for coffee and conversation, becoming friends in the process. 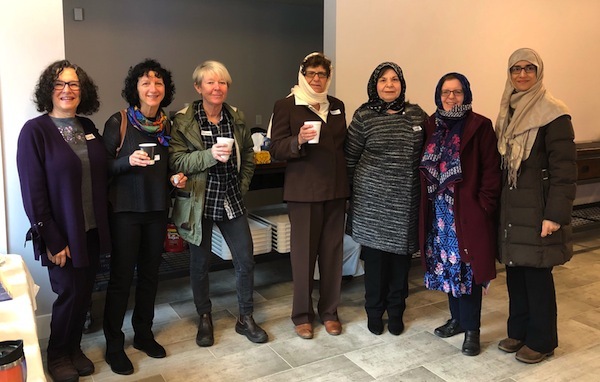 The first event bringing together the communities took place Feb. 9 at the Kelowna Islamic Centre, and the next one is being planned for this spring at Kelowna’s Beth Shalom Congregation. “The concern I had was just how many people at the synagogue would be interested,” said Richer-Lafleche. “But, it worked out very well, with about two dozen people from both sides, open to families and people of all ages. Once the formal part of the event took place, participants had lunch together and mingled, then took a tour of the newly built mosque, which included a call to prayer. Both Richer-Lafleche and Sadiq are working on other ways for their communities to connect with, learn about and support each other. “I know, in the Islamic world, Jews living in the Islamic world throughout our history, there was this interchange between Muslims and Jews, with science, literature, philosophy, and even spirituality,” said Richer-Lafleche. “It’s unfortunate that, in the 20th century, it seems to have broken down. Maybe, in a small way, in a small part of the world, with a very small group of people, we can start to do something like that … and maybe peace in the world. “We had a very small Jewish community,” said Sadiq, referring to Pakistan, where he was born. “When I came here [in 2008], there was a very small mosque, housed in an old church. We recently built a large mosque and wanted to find ways to connect with the Jewish community. “My children go to public school and have friends of all different faiths. I don’t want my kids to be biased. I want them to explore and appreciate. I want them to get to know our neighbours. For more information about the OJC, call 250-862-2305 or visit ojcc.ca.